Welcome to our Kyle Dennis Black Optics review! I learned Kyle’s Biotech Catalyst Swing Trading Strategy a few years ago and I can honestly say that when I follow Kyle Dennis biotech alerts – I make money! 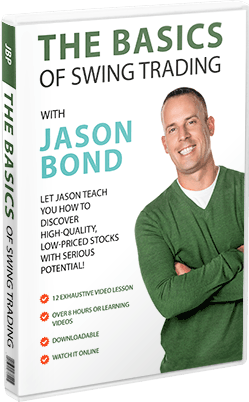 I will show you how to learn Kyle Dennis’ Biotech Catalyst Swing Trading Strategy for FREE! I also have a very special deal for you at the end which is only available to my readers! Disclosure: Please note that some of the links on this page are affiliate links. This means that we may earn a commission, at no cost to you, if you decide to make a purchase after clicking through the link. Please understand that we have experience with these companies, and we recommend them because they are helpful and useful, not because of the small commissions that we may receive if you decide to buy something through our links. We have tried the Black Optics trading strategy and we love it. Hopefully you will as well! I first came across Kyle Dennis a few years ago when I was looking for a way to make some extra money. I learned his biotech catalyst swing trading strategy and it was truly profitable for me! Kyle’s trading strategy is a perfect fit for my trading style perfectly. Here is a FREE MASTERCLASS that Kyle runs to help other traders learn his profitable biotech catalyst swing trading strategy! The core of the Black Optics trading strategy is revealed in this video. Kyle Dennis is one of the most remarkable stock traders of our time. He is well-known for his amazing journey in turning $15,000 into $4MM+ in a few short years. His strength lies in trading biotech stocks. He specializes in purchasing stocks that have potential catalysts that could skyrocket the price very quickly. These types of stocks have the potential to make massive profits, but they are also known for being risky and volatile natures. Kyle is originally from L.A. in California. As a kid he really wanted to be a doctor because of his interest in Biology (which he obtained a degree in from UCLA). His life path changed as he realized that he would rather make money in the stock market than become a doctor. His background in biology helps him to understand the science behind the biotech companies that he trades. This gives him a bit of an edge in the biotech trading niche! Kyle’s biotech catalyst swing trading strategy is easy to learn. Kyle is a great trader AND a great teacher. He keeps his biotech trading strategy as simple as possible. Kyle Dennis started trading stocks in 2012 with just $1000. Kyle was tired of struggling in L.A as a real-estate analyst (it sounds fancy, but it only paid $35,000 per year). Kyle experience the typical start to trading stocks that most people experience – he lost a bunch of money. The first stock that he purchased lost him almost his entire small trading account. Kyle joined Jason Bond Picks to learn from a more experienced mentor. He Joined the elite program that Jason Bond offers – Millionaire Roadmap. 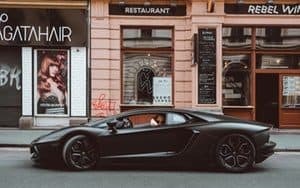 The Millionaire Road map is an elite stock trading education service that teaches people to maximize profits in the stock market. You can check out the Millionaire Roadmap and get the absolute best price here. When Kyle joined the Millionaire Roadmap, he knew that it would either make or break his trading career! Luckily, he was able to use the knowledge that he gained from the program to make 50% on his trading account within 1 month of joining! This was in 2015 and his success has just continued over the years. Within one year Kyle had made over 1 Million in profit from trading stocks – he was only 25 years old. You can now learn from Kyle as he now runs subscription services alongside Jason Bond, where he teaches his exact strategies and alerts his stock trades in real-time. People always ask me about Kyle’s biotech catalyst swing trading strategy. As a member of his alerts services, I have found that he is a very disciplined trader and very patient. He does some serious due diligence into biotech companies that have upcoming catalyst events. These types of event include things like FDA approval dates, drug trial announcements and company earnings. Whenever I tell other traders about Kyles biotech catalyst swing trading strategy, they always say ‘that is just gambling! You can’t be sure if the news will be good or bad.’ but the secret is that Kyle sells before the announcement is made! Basically, he buys a stock very early (usually weeks before an announcement) and sells it when the hype is starting to peak as the actual catalyst event approaches. Genius! 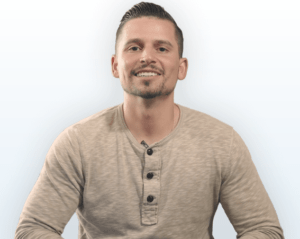 If you want to know more or how to learn the Kyle Dennis biotech catalyst swing trading strategy – here is an awesome free webinar where he teaches his core strategy. Kyle Dennis is offering a MASSIVE DEAL on his biotech swing and option trading services. The awesome deal that RagingBull has authorized for me to give you is called ‘Black Optics’. You can literally watch Kyle as he trades live and discusses his thought process as he scans the market. This is a fully transparent mentoring service! This is a once in a lifetime deal that I have personally secured from Kyle and RagingBull.com just for you guys! You will not find this deal for Kyle’s biotech catalyst swing trading strategy services anywhere else. Check out the HUGE discount for all of Kyle’s services here! Why is it called Black Optics? Black Optics trading package is basically the complete package of all the products and biotech catalyst stock alerts services that Kyle Dennis offers. It is called the Black Optics package because….well….it sounds cool? Kyle claims it is because it ‘gives you clarity amongst the chaos’ – whatever that really means! In a recent interview, Kyle also mentions that he calls it Black Optics because the idea is that an optic helps to focus light, in a similar way this program helps you to focus on what really matters in trading. The Black Optics name is also supposed to reflect the idea that Black Ops are secretive and stealthy – this is a philosophy that Kyle preaches in trading. He likes to get into the market and out again while capturing some sneaky profits in the process. I think the idea is that there is a lot of ‘noise’ in the markets and you can really get distracted by this. Kyle focuses on what really matters and his trading benefits from it. The Black Optics program is a step-by-step system that Kyle created in order to help you learn how to trade biotech stocks as quickly as possible. It includes the phases that Kyle had to go through in order to become a successful trader. Kyle has bundled all of his trading alerts services into a bundle for you and agreed to offer you, as our reader, a massive discount on the entire package! You can use our special discounted link to get ALL of these awesome services and more for the insanely low price of $2997 per year! Crazy value! 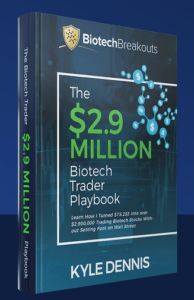 If you are serious about learning how to successfully trade biotech stocks this coming year, I really encourage you to take full advantage of this massive discount while it lasts! Kyle Dennis Black Optics Review – Who is it for ? Anyone that wants to trade biotech stocks and grow their stock trading account as quickly as possible. If you haven’t ever traded before, you can learn the most from Black Optics. But it will help accelerate your success if you already have some experience or at least have a trading account. Kyle Dennis Biotech Alerts – are they any good? All of the Kyle Dennis biotech alerts programs that are included in the Black Optics package include extensive video lesson libraries and real-time stock alerts. With many of the programs, my experience has been that it is possible to get better prices than Kyle does! I never chase the biotech alerts, rather I wait and get a more strategic entry. Many of the Kyle Dennis biotech alerts are swing trades that take a few days or weeks – this gives you plenty of time to get a good entry into the stock. My experience has been that the Kyle Dennis biotech alerts in the FDA Insider and Sniper Report programs have been very easy to replicate. This is important because many people complain about other stock alerts services that they cannot replicate the trade alerts. I haven’t tried his Option Rocket program yet, so I cannot comment on the quality of that program. I have had some great success with the Kyle Dennis biotech alerts in both the Sniper Report and FDA Insider Alerts programs. These are both longer term trading programs that allow you to work full-time and trade on the side. They are perfect if you don’t want to be glued to your computer all day! I have regularly made 50% profit from trades alerted in these services! “My 5k account is now $37,653.00. My larger account has gone up 68%” – testimonial quote by Michael C.
“Wanted to thank Kyle, up 200% on one of my accounts in just 2 weeks” – testimonial quote by Dylan T.
– testimonial quote by Adriano S.
“I started this service and had $4500.00 in my trade account. Value now about. 8 months, 27k.” – testimonial quote by Mark M.
“Kyle, my 5k account almost 14K in two weeks. Thanks” – testimonial quote by Dawod N.
I hope that the link I have provided (this discount link to the Black Optics program) in this Kyle Dennis Black Optics review helps you to make the leap into investing in your stock trading education. I have invested in my education (including buying Kyle Dennis biotech alerts programs!) and my investments have easily paid off 100-fold. At this discounted price, the Kyle Dennis Black Optics program is a no-brainer in my opinion. I have made $8,000 profit on a single trade with a $25,000 account following these types of swing trading alerts. This is more than double what you would pay for Black Optics in just one trade! Good luck with your trading journey and please feel free to send me a message or comment if you want more information about Kyle’s biotech catalyst swing trading strategy or any of the products mentioned in this review. The Black Optics trading strategy is one of my favorites. Kyle’s Biotech Catalyst Swing Trading Strategy is one of the best I have ever found. I truly love his style! Hopefully, you now know how to learn Kyle Dennis biotech catalyst swing trading strategy to make some money trading stocks. Be sure to check out the Kyle Dennis biotech alerts services and make this year this best trading year ever! The Black Optics trading strategy will take your trading to a new level! Kyle Dennis’s Biotech Alerts are the best in the business!